Our flavors vary based on availability. Some of our staple flavors include: Chocolate, Peanut Butter & Chocolate, Birthday Cake, Mint Chocolate Swirl, Vanilla Pecan, Orange Cream, and More! Seasonal Flavors Include: Pumpkin Pie, Churro, Caramel Apple Pie, Gingerbread, Strawberry Cheesecake, Cotton Candy and More! Is Our Fudge Gluten / Nut Free? We're often asked, "Is your Fudge Gluten / Nut Free?". Our Fudge Mix is gluten free, although it may contain traces of wheat due to the use of other ingredients in some of the seasonal flavors. Our Fudge also contains traces of peanuts / tree nuts due to shared equipment. 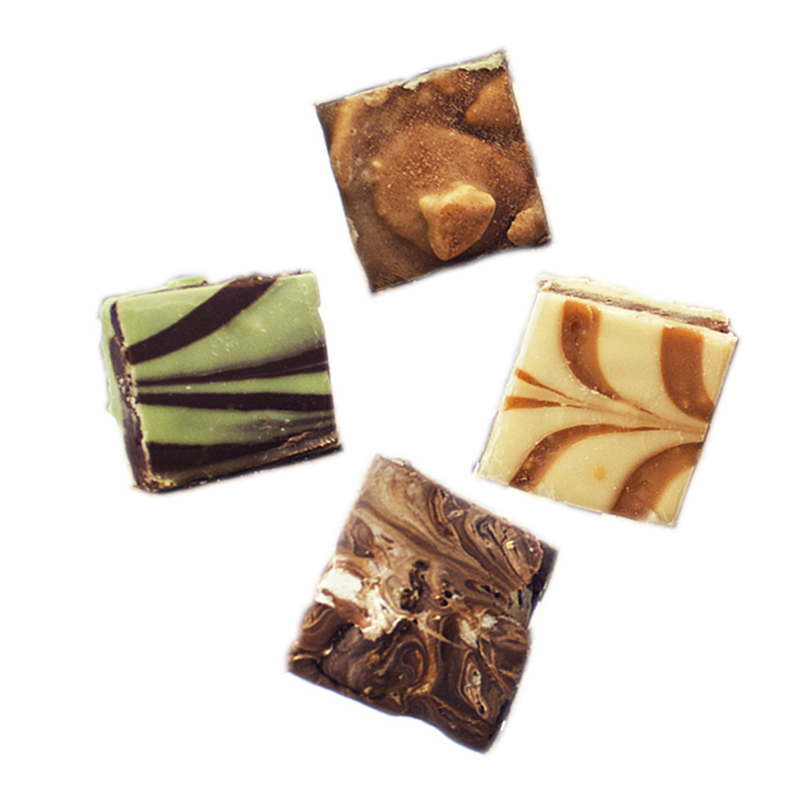 Our Fudge is well-known for it's creamy texture, accurate flavor, and balanced sweetness. We always have free samples of any & every flavor in-store!